Step 1. 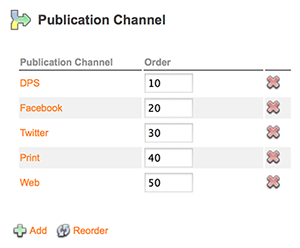 Access the Brand Maintenance page for which you want to delete the Publication Channel. Step 3. Click the Delete icon next to the Publication Channel name that needs to be deleted. Step 4. Click OK to delete the Publication Channel.